Dr. Mickens is a native of Winston-Salem, NC. He received a B.A. from Morehouse College in Atlanta, GA. Following college, Dr. Mickens received his Doctorate of Dental Surgery from Meharry Medical College School of Dentistry in Nashville, TN. Upon graduating from dental school, he did two years of General Practice Residency at Bronx-Lebanon Hospital Center in Bronx, NY. Dr. Mickens later practiced general dentistry in the New York City area before returning to Bronx-Lebanon Hospital Center where he served in the Department of Dentistry. His interest in endodontics led him to New York University College of Dentistry where he received his specialty certificate in endodontics. 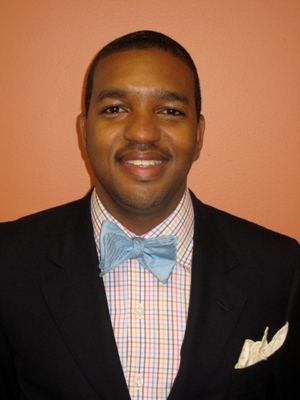 Dr. Mickens went on to become an associate at Granger Endodontic Group in Garden City, NY. When the opportunity presented itself, Dr. Mickens was delighted to return home to the triad area. Dr. Mickens is currently a member of the American Dental Association, American Association of Endodontist, North Carolina Dental Society, Tar Heel Endodontic Association, Guilford County Dental Society, Rockingham County Dental Society, Old North State Dental Society and Greensboro Medical Society. He is also an Associate Clinical Professor in the department of Endodontics at both New York University College of Dentistry and UNC Chapel Hill School of Dentistry. In his free time, Dr. Mickens enjoys spending time with family and friends. His hobbies include traveling, reading, soccer, and golf.